The S&P selling is intensifying with the index trading to new session lows to 2737.25. The price is down -1.7% and moving away from the 200 day MA at 2765. 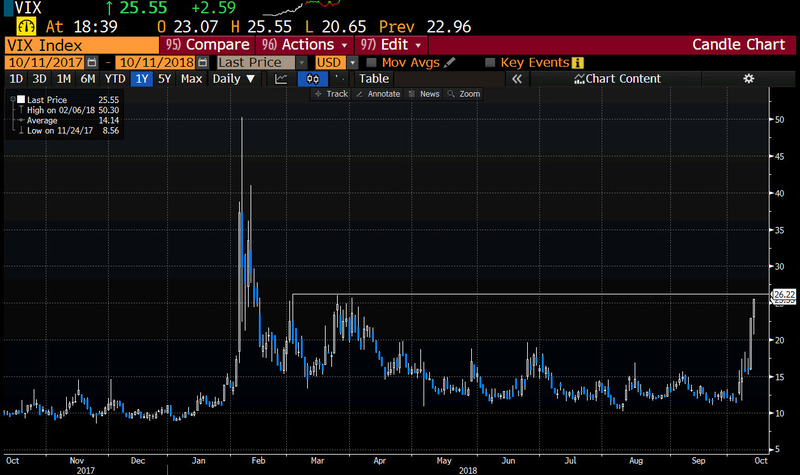 The VIX is also rising with the volatility index reaching highs since April at 25.42.